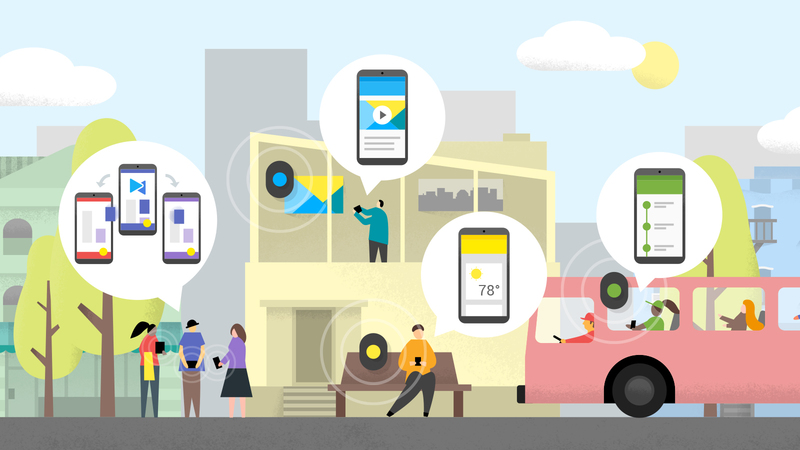 Google introduced two things earlier today, being Nearby APIs which will enable enhanced device-to-device communication — even with iPhones — and Bluetooth Low Energy Beacons for everywhere you may go. First, let’s talk about the Nearby APIs. Already in development and deployment through apps such as Trello and Pocket Casts, this feature allows developers to build in real time sharing options via a smart device’s Bluetooth or WiFi connection. As an example, if you and your team utilize Trello, you can share boards with each other if you are close by, all through a single press of a button. 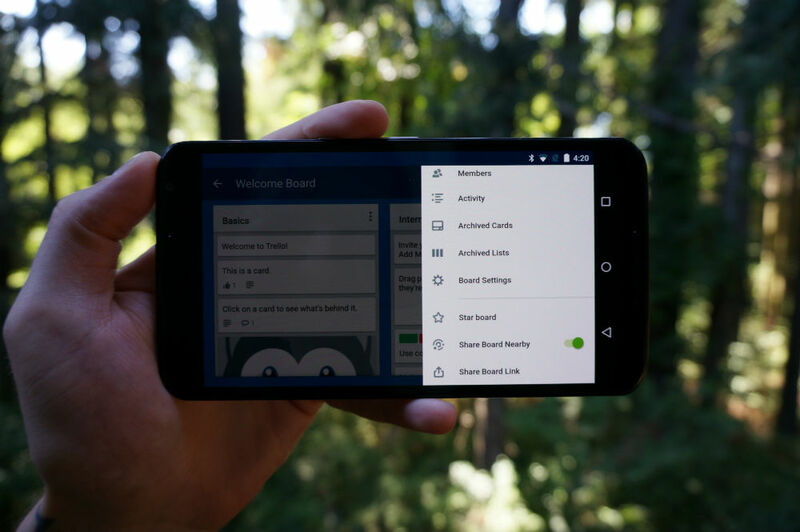 As shown in the header image, you simply press “Share Board Nearby,” and off it goes to another user. As another example, Pocket Casts lets you see and share your list of favorite podcasts with other users around you. Say you are friends with Ron Offringa, and you want to see what he has been listening to. You hit on “Nearby” tab at the top of the page, then view whatever it is he may be listening to. And the same can be done by him to view your tastes in podcasts. These changes are available to all developers using Google Play Services 7.8. Second, there is Bluetooth LE (Low Energy) beacons. Google wants to connect the world, allowing for easier access to information by anyone who owns a smartphone. These beacons, called Eddystone, can go basically anywhere, containing whatever data the developer wants to program into them. For example, if you come to your bus stop, it can display arrival information for your bus on a smartphone. If your usual bus happens to be running late, it could even give you an alternative method to get home. These beacons can even go in your home, displaying on your phone whatever might be on TV at the time, if it matches up with shows you watch. And as a last example, say you head into a restaurant, a beacon could notify you of delectable menu items. In the below video, Google goes over what these BLE Beacons are all about. Info from these beacons, plus the Nearby API for improved phone-to-phone communication, will be hitting your smartphone soon.